Healthy and Cancer Free ! Been traveling while working recently. Wanted to share some health tips have gleaned while chatting with friends. Whether you believe high cholesterol contributes to heart disease or not, it’s best to keep your numbers low. It’s also quite beneficial to keep your fiber consumption high to reduce your risk of heart disease. And while we’re on the subject — controlling your weight is a given for protecting your heart. 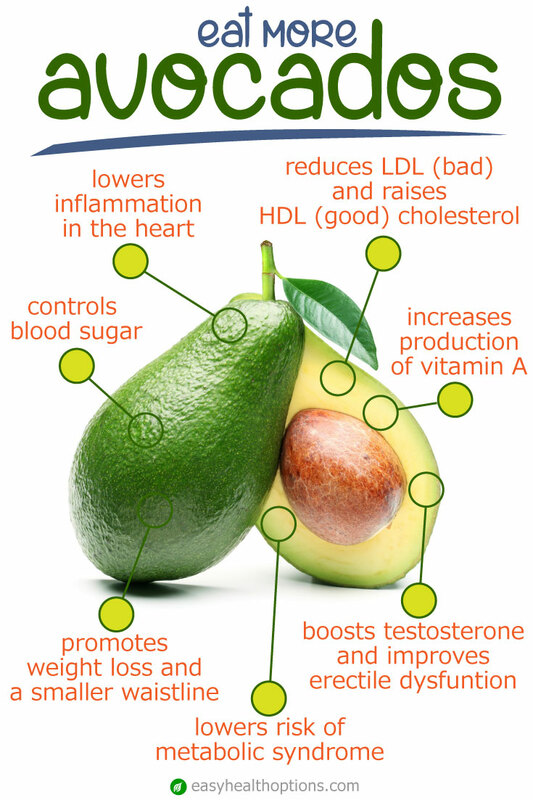 Research has revealed that consuming one to one and half avocados a day significantly reduces total cholesterol (TC), “bad” low density lipoprotein cholesterol (LDL-C) and triglycerides (TG) — without impacting “good” high density lipoprotein cholesterol (HDL) — when they are substituted for sources of saturated fat. Avocados can also help boost satiety so you feel fuller longer and possibly eat less. Eating a half of an avocado with a meal, according to a study of people trying to bring their weight down, can help you feel like you’ve eaten enough and avoid the temptation to stuff yourself with sweets. The Loma Linda researchers found that folks who eat half of a fresh avocado with their lunch experience a 40 percent decrease in the desire to keep eating after the meal. And the effect persisted five hours later (to a diminished degree). The people in the study also reported feeling 26 percent more satisfied. But what’s that you’ve heard about avocados causing weight gain? Hogwash. Results from the National Health and Nutrition examination survey has shown that eating an avocado every day does not make people gain weight and is associated with better diet quality, nutrient intake and lower risk of metabolic syndrome. At an annual meeting of the American Association for the Advancement of Science in Washington DC ended recently, and a new cancer-killing therapy was a big topic. Researchers revealed that they had taken human T-cells and engineered them to identify, memorize and attack tumor cells. The therapy didn’t work for everyone and some patients experienced toxic side-reactions and died. However, some of the patients had many other therapies that failed, and some people were in complete remission after 18 months. It’s great that scientists have used the body’s own natural cancer killing cells in their research. But like many of these therapies, scientists are calling T-cells a “living drug” so they can patent and sell an eventual therapy … which won’t be available to the general public any time soon. Fortunately, what is available to you are your own T-cells. 1) Start with getting plenty of vitamin D.
The prestigious journal Nature published a study with a stunning discovery: T-cells don’t work very well unless your vitamin D receptors are activated. In other words, T-cells won’t activate without enough vitamin D.
The study also says you can increase your T-cell responsiveness by 750 percent by making sure you have a good amount of vitamin D.
Direct sunshine is best because our bodies make vitamin D from the sun’s rays. If you can’t get some sun every day, it’s best to get at least 3-5,000 IU of D3 daily. You might need as much as 10,000 IU if you’ve been out of the sun for most of this winter already. 2) Add some selenium to your diet, or make sure it’s in your daily multi-nutrient. Selenium is well-known to be cancer-protective. But studies show it also increases the effectiveness of T-cells, and makes them more powerful. Fortunately, you don’t need much selenium. You do need more than the RDA, which is only 55 micrograms. It appears that up to but no more than 200 mcg a day is a good target. You should get it from food. A few Brazil nuts will give you all you need. Or you could eat plenty of eggs, fish, and mushrooms. 3) Have you ever heard of Cat’s claw? It’s easier to say than its Latin name, Uncaria Tomentosa. This plant is native to South America, and its health benefits are so powerful that it’s now being studied to see what it can do against cancer. What they’ve discovered is that cat’s claw cat’s turns on T-cells and unleashes them against many diseases. Like the T-cells in the study, cat’s claw seems to stop cancer from spreading. You will normally see cat’s claw in supplement form at a 350 mg daily dose, and it’s standardized to contain 8% carboxy alkyl esters, which is the active compound. Mother nature provides many options to skyrocket your body’s own natural cancer defenses–and more and more people are turning to them. In 2005, 72 million people sought alternative treatments, many like the ones you can read about in Dr. Michael Cutler’s Surviving Cancer manual. Click to learn more. Here’s to enjoying Living a Boundryless Life ! !